Front Door Craftsmanship in Roseville in Rocket Time! With over 25 years experience as a valuable resource for Builders, Contractors, and Home Improvement Individuals, Homewood has established a positive presence throughout Northern California as a leading producer and supplier of high quality doors, windows and building materials. With over 5-acres that include a lumberyard, hardware store, warehouse, and showroom areas, along with Homewood’s 11-acre offsite truss manufacturing plant, our knowledgeable staff specializes in serving the needs of professional builders and homeowners alike. 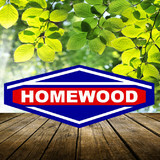 Homewood, your ONE STOP SHOP for all your rebuilding and remodeling building supply needs. Homewood has a continuing commitment to offer our clients with the highest quality new products and ideas at competitive prices. We are a local business that believes in being friendly and strives to support all our customers regardless of their size. 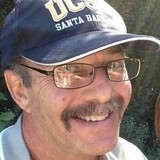 Mobile expert locksmith serving Placer County and surrounding areas since 1978. Home-Automotive-Commercial-Industrial, locks, keys, safes, door closers, auto fobs and remotes, laser-cut keys, transponders, deadbolts and panic hardware installed. Offering specialty architectural features for the home such as custom iron doors and wood doors, windows, hardware, faux beams, Rocky Mountain Hardware, Valli & Valli, Baldwin, Architectural Traditions, Southwest Door, Simpson, Fypon, Rustic Elegance, Memphis Steel,Acorn, Emtek, Omnia, Schaub & Co, Jeffrey Alexander, Inox, FSB, Ashley Norton, Pella Windows and Doors, Rustica barn door hardware and moldings. Hand Built Custom and one of a Kind Doors, Windows and Cabinets, Historical Reproductions with Modern Glass, Weather Strip and Hardware. Welcome to Reliabilt by ABS. We sell exterior Steel, Fiberglass, and Wood doors as well as a plethora of interior doors from MDF to Decorative Glass to Molded and wood. We are a door manufacturer for the amazing Millennium Collection MDF door line. 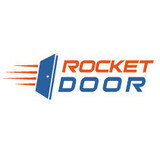 Rocket Door simplifies the process for replacing your front door. We specialize in entry door sales and installations, with an ownership team that brings over 25 years of experience in the front door industry. We service areas such as Vacaville, Fairfield, Dixon, Davis, Woodland, Vallejo, Napa, and Benicia. Our product line includes beautiful, durable fiberglass front doors from top manufacturers JELD-WEN and Therma-Tru. After thorough research and industry experience, those two brands were the only ones that met our strict standards for appearance, performance, warranty, and value. Replacing your entry door does not need to be stressful or complicated. Save yourself time, hassle, and headache by trusting your project to Rocket Door. Most other companies, home improvement stores, or big box stores will complicate the process by trying to up-sell bigger ticket products and services. We simplify the process for you by guiding you through our simple three-step solution for door replacement including consultation, design, and installation. We only do front doors, so you can feel confident that your project is handled by a team that truly knows the door industry, with no surprises, no pressure, and no hassle. Rocket Door provides free, informative in-home consultations, where we will examine your current front door to evaluate your needs and offer solutions. If you decide our simplified, pressure-free approach is a good fit for your project, the next step would be design. Our showroom in Vacaville, CA will allow you to see the many options available with door styles, colors, glass, hardware and trim options to fit any style or budget. Our team will guide your design to ensure you end up with a door you will love. After you select the perfect door for your home, we will then measure your existing door opening, order the custom door, and schedule the installation. 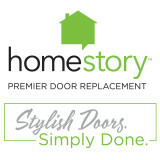 It really is the easiest, fastest, most affordable way to replace your front door. We employ and train our own in-house installers, who will provide expert installation for your front door. We guarantee customer satisfaction with a 5 Year Service Guarantee. You will be left with an entry door you will be proud to show off with minimal maintenance required, improved energy efficiency for your home, and durability to last. Give us a call today at (707) 689-5147 to schedule your no-pressure, free consultation. OMG Door has been serving the greater Sacramento Valley since 1989 with it's focus on meeting the areas resident, business & contractor's demand for excellence in both commercial and residential, doors, hardware, locks, mill work, and molding. Our goal is to provide the greatest quality available at cost effective levels for all concerned . By keeping the company smaller and more personal, with the owner actively involved on a daily basis, over two decades of business has earned OMG a reputation for being a dependable source of materials at competitive prices. Retail with precision being the emphasis, and quality wholesale supply to the construction industry & consumer a commitment, we also offer replacement , repair & installation services locally. A great majority of our customers return time and again for their further related egress & entry needs. Even if you can't find it elsewhere, we just may have your solution. Welcome to Alberto Locksmith Services! Need help with a lock change? Want to make keys to your brand new home? Encountering a truck lock out? Competent technicians can come to repair your busted keys or upgrade missing car key whenever you want, day or night. Out of critical emergency locksmith requirements and other inquiries such as key encoding or key making, we will find the finest answer. We certainly have years of locksmith and home safety expertise. Our main concern is the satisfaction of our own clients. We provide you with 24 / 7 set up and fixes on all forms of locks, such as jimmy proof dead bolts,mortise locks, rim locks, level handle locks, knob locks, deadbolts, and many more. 24 Hour Emergency Locksmith Rocklin CA 95677 <a rel="nofollow" target="_blank" href="https://www.locksmithrocklinca.net/emergency_locksmith_services.html">https://www.locksmithrocklinca.net/emergency_locksmith_services.html</a> (916) 472-0135 - 24 Hour Emergency Locksmith , Trusted Emergency Locksmith , Broken Key Extraction , Business Lockout , Emergency Locks Repair , Broken Off Key Removal , Safe Emergency Locksmith , Locks Open , Safe Combination Changes , Repair For Lock Damage , Safe Lockout , Auto Door Unlocking , Car Trunk Opening , Repair For Damaged Locks , Home Door Unlocking , Emergency Re-keying , Transponder Keys , Mobile Emergency Locksmith , Exit Device Repair , Storage Lockout , Transponder Keys Made , Safe Opening And Dial Repair , Panic Bar Service , Car Trunk Unlocking , House Lockout , Damaged Lock Repair , Keys Made , Local Emergency Locksmith , Home Alarm Service , Discount Emergency Locksmith , Safe Opening , Combination Changing , Home Lockout , Emergency Lockouts , Office Lockout , Eviction Lockout Service , Lock Pick & More. What kind of services do Rocklin door dealers provide? Door dealers are responsible for a variety of services, including door installation, replacement, door repair and custom door design. If you need a new door, Rocklin, CA door dealers will help you determine what kind you need, as well as shape, color, size and more. From barn doors to French doors to front doors, these professionals can help you choose, install and maintain your door investments. Wood doors are beautiful, versatile and tend to be the most popular choice for both interior and exterior doors; they are easy to custom build, and include oak, cherry, walnut, mahogany, maple, fir and pine. Some standard wood doors have MDF cores wrapped in wood veneers, which minimizes the chances of warping as real wood expands when wet and contracts when dry. If your heart is set on a wood door but you think the Rocklin, CA climate might cause it to warp, talk to your door professional about a furniture-grade veneered door. Aluminum doors have an insulated core and come in a variety of colors and finishes. With a baked-on enamel finish, they won’t rust or need repainting, and many come with a 20-year warranty. Next to wood they are the most expensive and have to be custom-made. A Rocklin, CA door dealer can help you find a reputable aluminum door manufacturer. Find door dealers and installers in Rocklin, CA on Houzz. Look in the Professionals section of our website and search for Rocklin, CA door dealers and installers. Read reviews, look at project photos and see how a pro can help with your home improvement project.